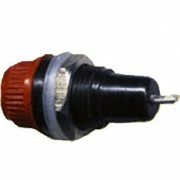 We have uniquely positioned ourselves as a dependable firm, engaged in manufacturing and supplying a commendable array of Panel Mounting Fuse Holder. This range is manufactured using excellent quality raw material and latest technology by our skilled professionals. In order to ensure quality, this range is stringently tested against various parameters by our experts. Apart from this, remarkable quality and flawlessness increase the demand of this holder in the market. 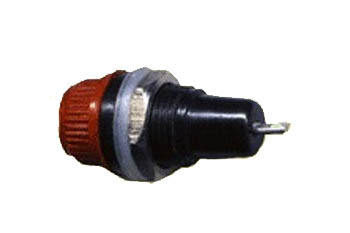 Also known as Panel Mounting Fuse Holders FH 4 Red & Black Cap.